How about we host a Pilot Pity Party… all we have to do is serve them pitchers of water.” The roar of laughter in response made me jump because I didn’t realize how many people were in the next room. And… I was eavesdropping. In my defense, the conference room door was wide open and I was in the dispatch office for a legitimate reason. After years of happy growth, Northwest Airlines (no longer in business) was stagnant and pilots were leaving in droves. A resentful virus was spreading through the pilot ranks and with just one joke, I suddenly knew the source of infection. In this boardroom sat highly intelligent individuals running an airline. They were appalled that an airline union had come knocking and the pilots were considering opening the door. The tipping point for this virus to spread was found in the water – literally. These pilots had always been given the simple luxury of two bottles of water for each flight leg. Then one day, there was a memo that we were to only drink the potable water coming out of the bathroom faucets. Do you have any idea how nasty the water really is in there? Pilots know. And these airplanes were 20-plus years old. You wake up at o’dark hundred in the hotel that has nasty chlorinated water. You barely want to brush your teeth with it. It’s too early for the restaurant to be open, so you catch the crew bus to the airport. You can’t bring liquid through security, so you search for something to drink by the gate, but all the restaurants and shops are still closed. Three hours later, you land in Cancun. It’s 98F and humid. You have an hour turn and no time to eat or run into the terminal… these pilots just wanted a frickin’ bottle of water in the cockpit. Did they not know what this pilot group could do to the bottom line if you didn’t at least give them their water?! Let’s fly at FL310 instead of FL350 and burn more fuel. Let’s taxi as slow as possible to grab a few more minutes of block time. Let’s read the MEL in such a way that we can’t take this airplane on this flight. Let’s tanker fuel because it’s more expensive here and I’ll just say, “I needed it for weather.” Let’s not answer our phones when crew scheduling calls. Let’s not wait for those passengers on a late connecting flight… Yes, let’s cost this company money. The company then began publishing a fuel shame list – showing which pilots used more fuel on a given leg. But it’s impossible to assign blame for extra flight time due to weather, traffic, ATC routing, etc. Shortly after this list was first published, pilot’s now fought to get their name on the top of the fuel-burn shame list and the group burned more fuel in one month than they ever had before. 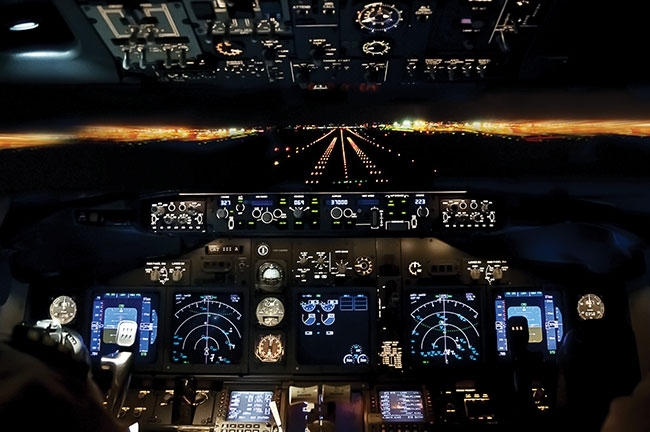 Through my 25-plus years of aviation, I’ve seen the same scenario of disconnect between management and pilots, as business leaders wring their hands at the cost of flight training, dumping thousands of dollars into a pilot only to have them leave. They can’t understand that even though their pilots fly “legally”, flying them to the edge of duty time every single day, unscheduled, on-demand, even at 0200 is asking more than what’s humanly possible. I did it and I loved it. I wanted to fly as much as possible. But there were days when I was exhausted. I’d given them everything for days on end, but it wasn’t enough. I was berated for not flying on days off. I was told I’d lose my job if I didn’t come in to fly an extra trip. There were always other pilots waiting to fly at this company…that’s what they said. For too many years. Now, those other pilots aren’t there. Pilots have been leaving aviation for years, affecting the next generation. Pilots know there isn’t a pilot shortage, just a shortage of people who will look at this as a career. We, as an industry, have done a terrible job of keeping the pride, the glamour and the respect in aviation. The pilot shortage hit the corporate and regional airline world first. The airlines aren’t much better for work/life balance, but the pay usually is, and the schedules are more secure, so pilots bare down and take it. For most student pilots with the intention of making piloting their career, the airlines were supposed to be the pinnacle. Over the years, too many have turned bitter from the disappointment, even when they make it to the airlines they can’t shake,the anger ingrained into their psyche on the way up to the top. They’ve seen their aviation leaders make millions on pay and bonuses while new hire pilots were on food stamps while trying to pay off $100k in student loans and flight training fees. Through the years, pilots have discouraged others from joining the herd, because there is a virus. It has been spreading and most pilots have experienced the illness of aviation. But, the tide is turning, because it’s had to. Pilot pay has increased. Regional airline pilots still only earn around $50,000, but that’s better than it was. You can still eat and payoff student loans instead of one or the other. Companies are actually being honest during pilot hiring and letting pilots know what kind of schedule they should anticipate. Most importantly, simply asking pilots what makes them happy is the key. You’d be surprised to learn how simple it is. It can be as simple as a bottle of water in the cockpit. Erika Armstrong is the author of A Chick in the Cockpit, Achickinthecockpit.com.